greeting family and friends wearing his scarf of ribbon. The lanterns return flanking the top of the steps. The lanterns look their best when they glow in the evening. 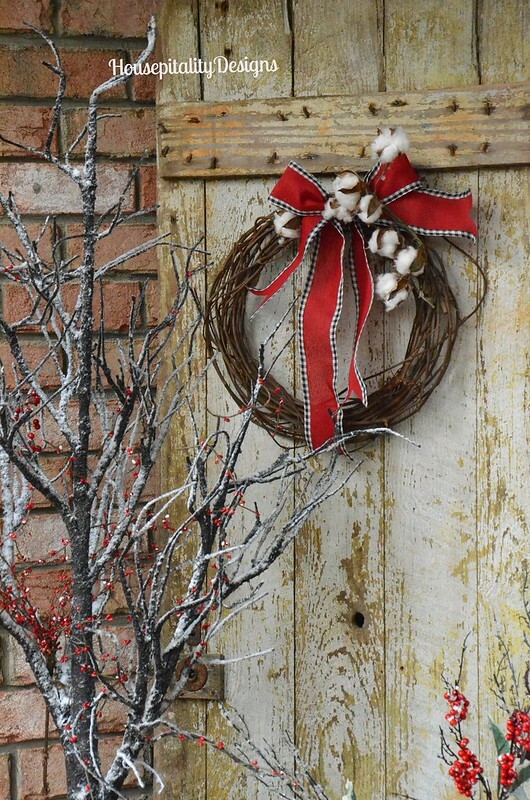 I purchased real evergreen wreaths again this year. at Lowe’s Home Improvement, it truly is a great bargain. The ribbon is from Michael’s . . . I wish I had purchased more of it! The large ornaments that hang from the ceiling return again. 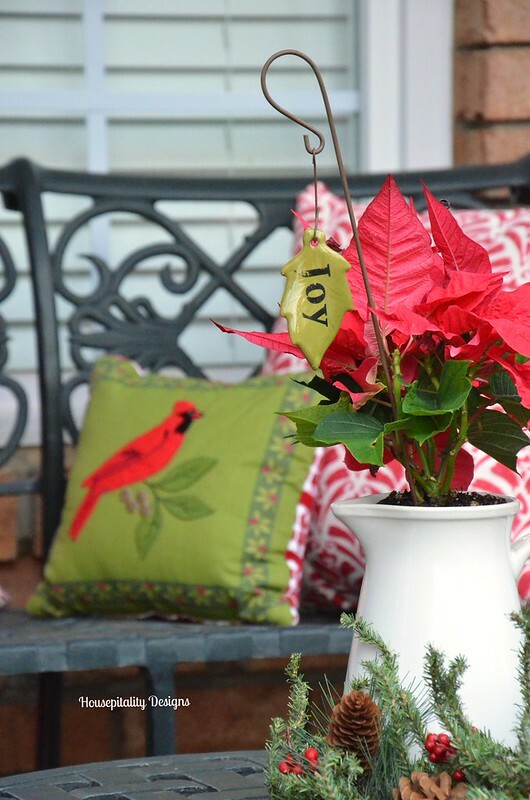 sits in the pitcher of poinsettias. A peek to into the left side of the porch. and the old weathered door in the corner. 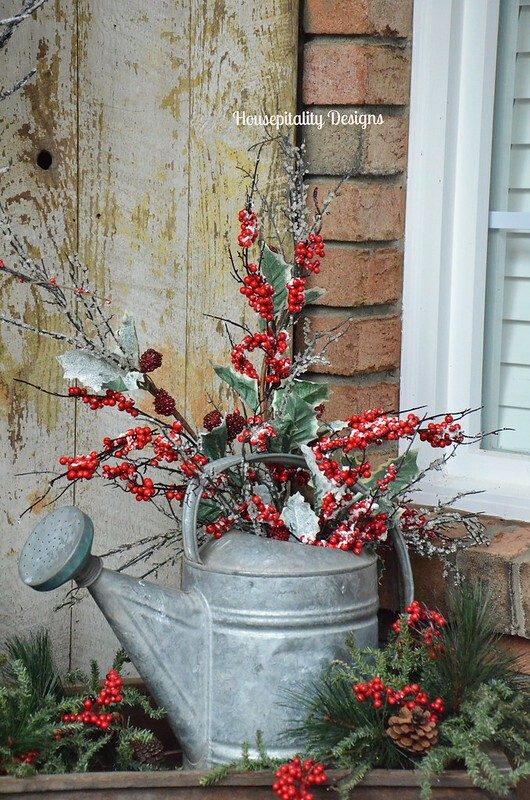 The vintage watering can filled with faux branches of berries. I added this tree in my 5 gallon Red Wing crock. It is really pretty when lit at night. 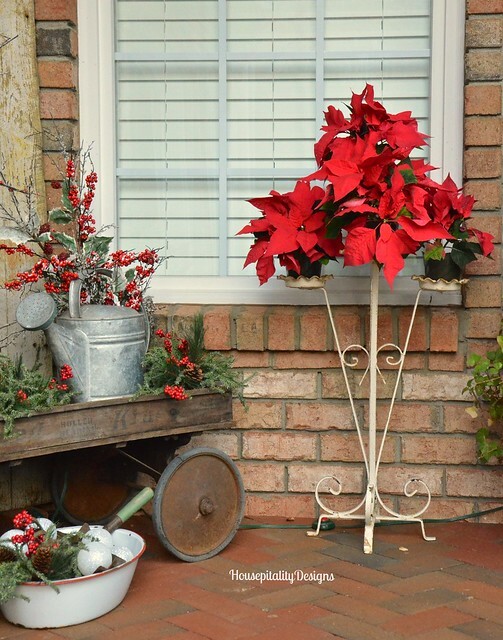 A vintage 5 tier plant stand holds poinsettias. 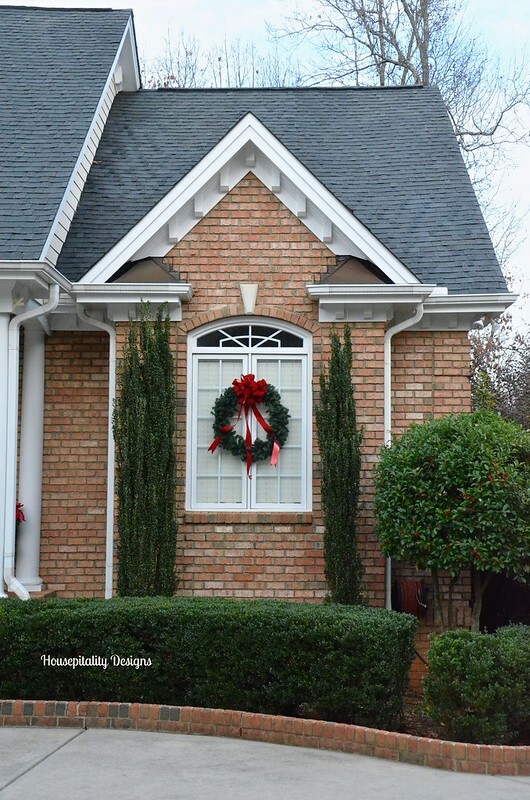 Every window on the front of my home displays a wreath. Even above the garage doors. I began taking some photos of the porch in the glow of the evening. More photos to come; however, here is a bit of a peek. I also finished decorating my upper back porch. Stay tuned for what is new there! Have a great day! Have you gotten all of your shopping done? I have not started, so you know what I will be doing this week! 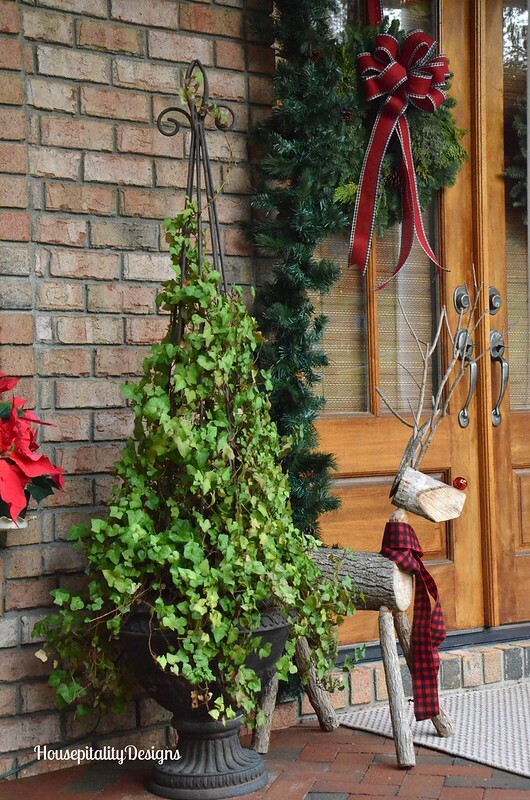 Your porch looks good in every season, but especially for Christmas. 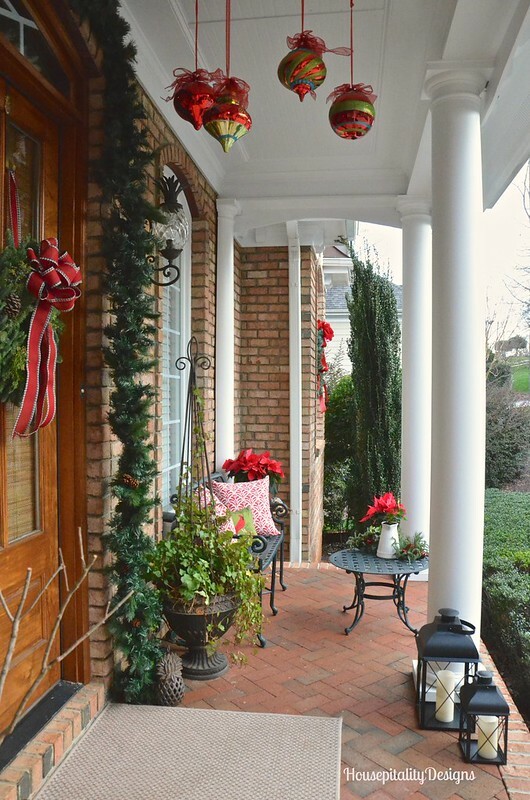 Makes me want a big southern porch even more. porch perfection and ole rudy steals the show. 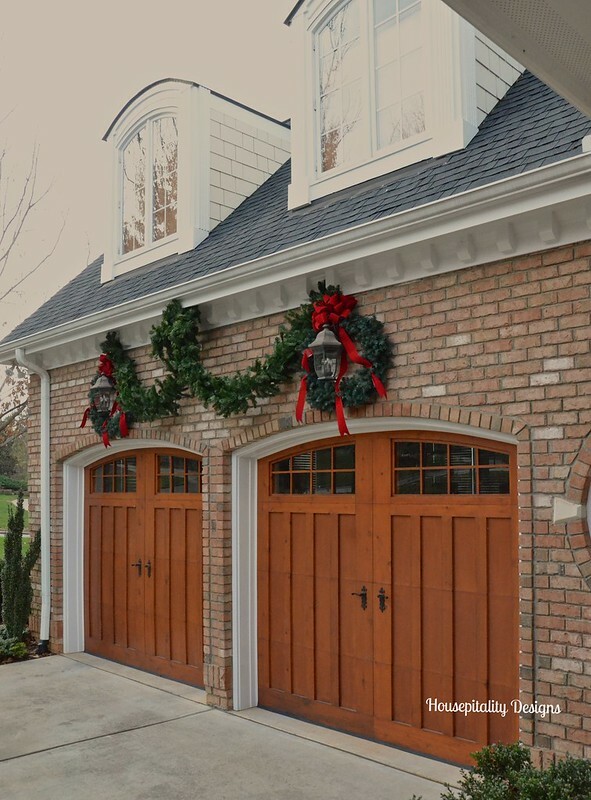 I love your garage doors. we are currently looking to replace ours with something similar. Happy Day! It all looks amazing, Shirley! 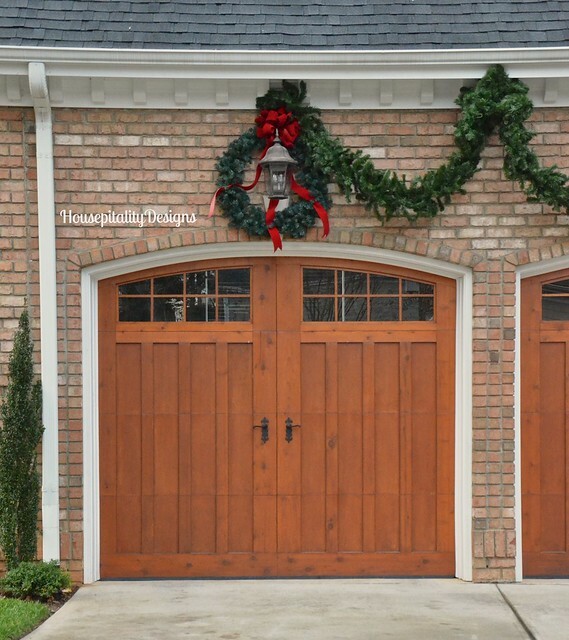 I love the “snowballs” amongst the garden tools and the garland and wreaths over the garage doors is absolutely exquisite! 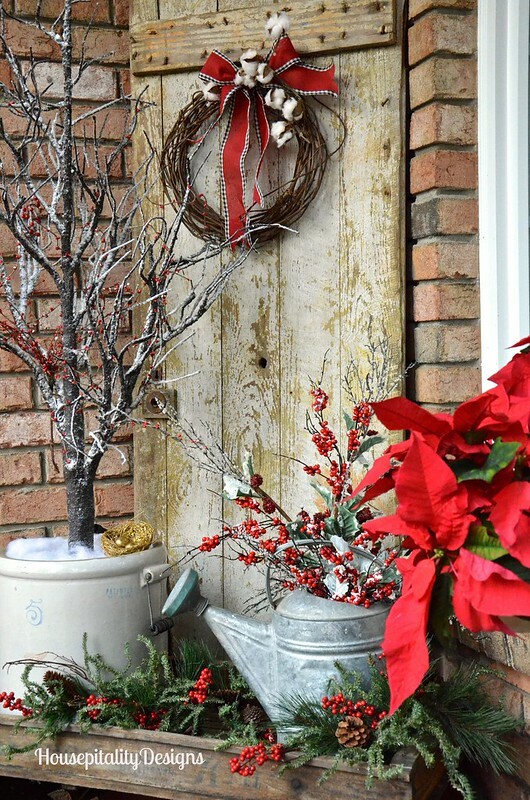 You just have the most beautiful porch Shirley, so welcoming and I always enjoy seeing how you decorate it for the holidays! Pinky at designs by pinky’s recent post…Christmas in the Master featuring Winter Birds! Your front porch is incredible, Shirley. 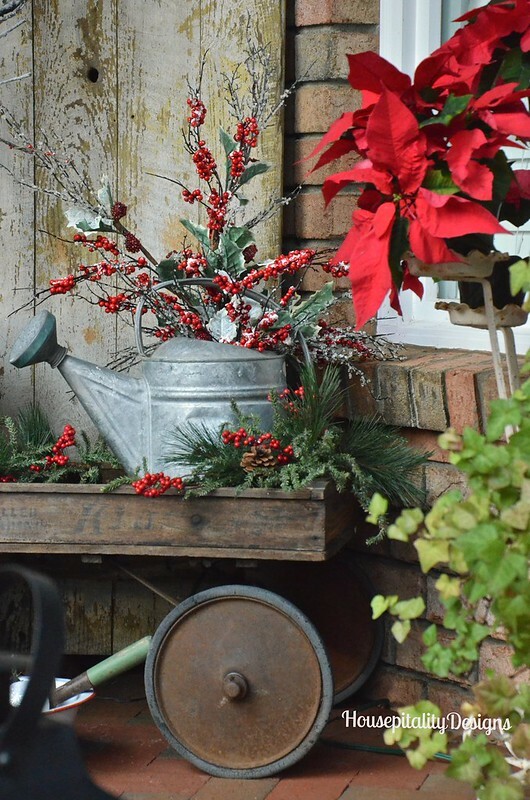 I especially love the vintage watering can with the faux branches of berries! 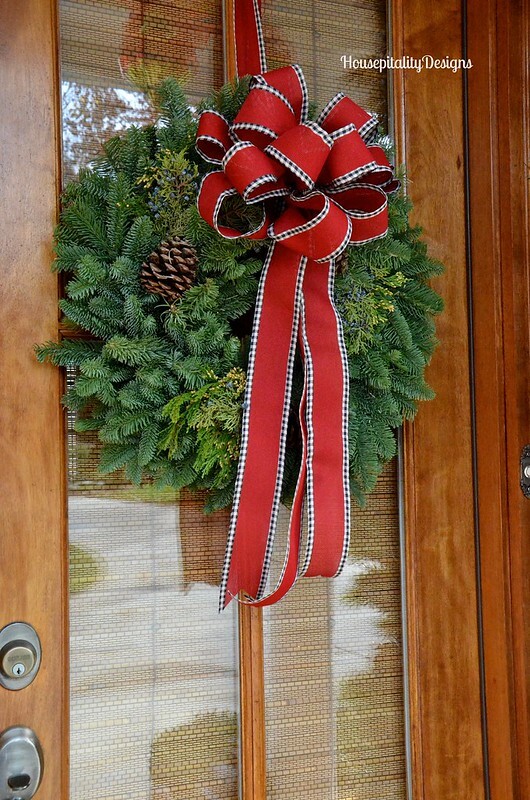 Shirley, I Love all of the gorgeous wreaths, Rudy and the chic pillows. 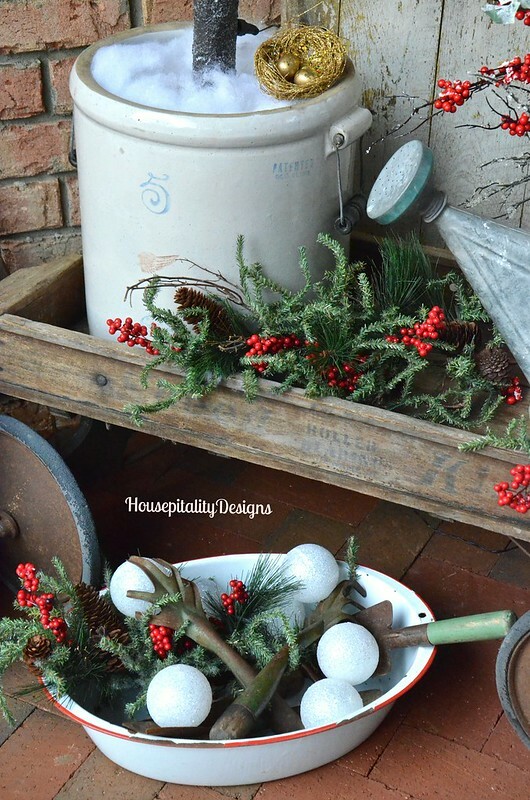 You always design for the Holidays so beautifully!! 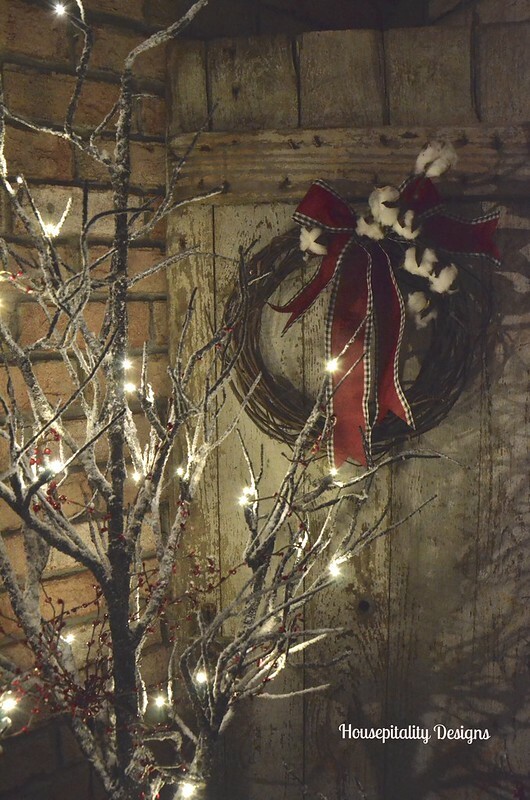 Karena’s recent post…More Great Books for the Holidays!! Ahhhhhh Shirley just beautiful. Love Rudy too adorable. What a beautiful welcome to your home. 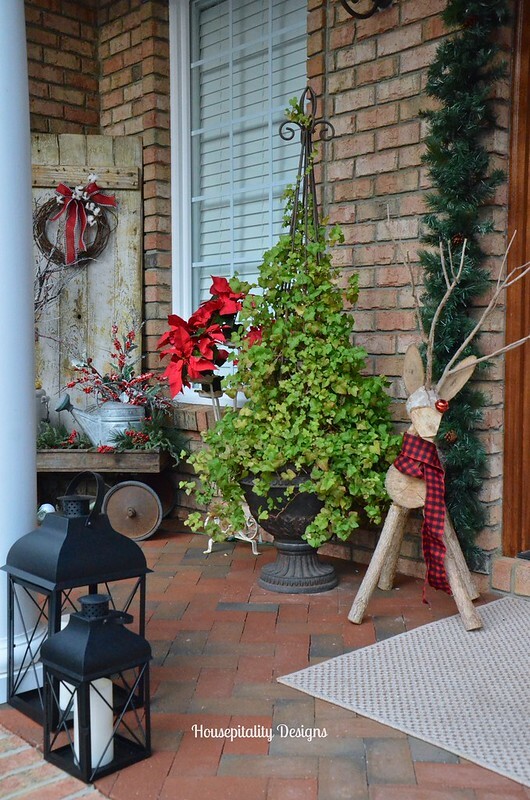 Shirley, your porch is so festive and welcoming! I love the ornaments hanging from the ceiling! The fresh wreaths are beautiful! My Lowe’s does not have them! 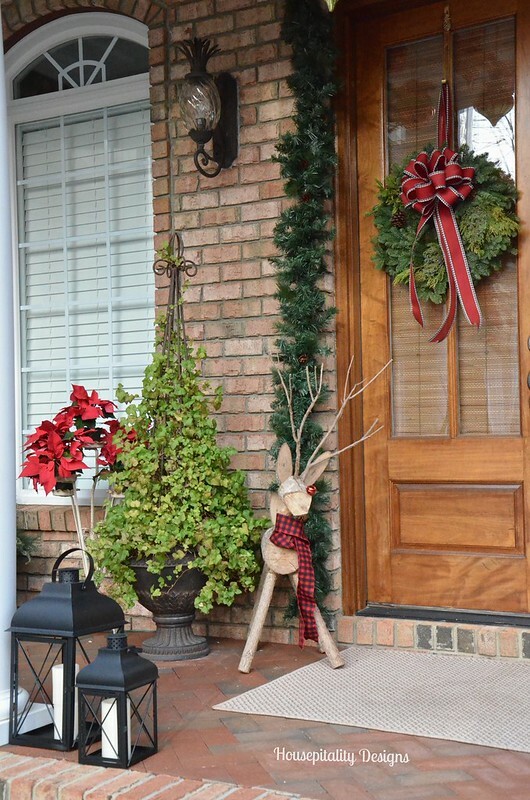 Porch perfection! 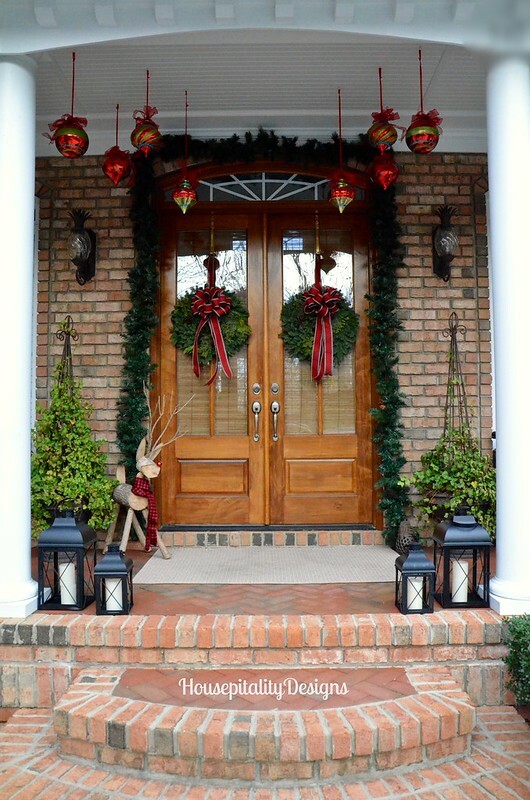 I love your from porch all decorated for Christmas. Shirley I just love your porch. It is as beautiful as can be. So warm and inviting to all you come to visit your home. 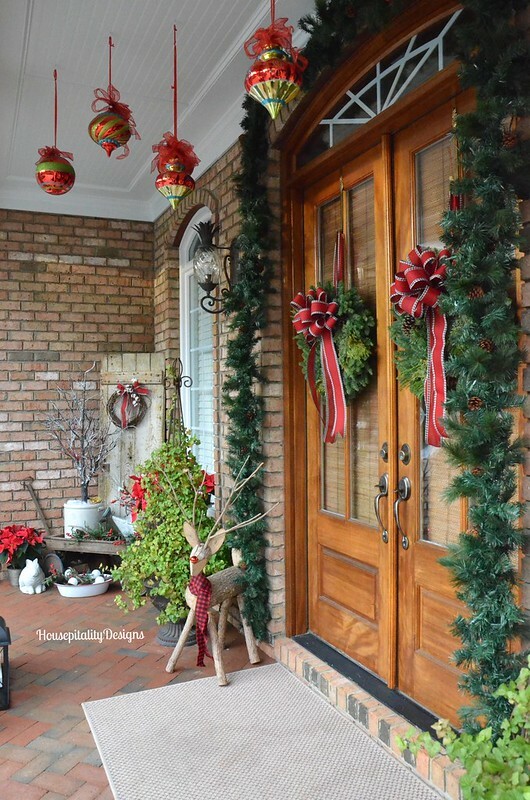 Gloria Brumbaugh I love everything you did for your front porch . 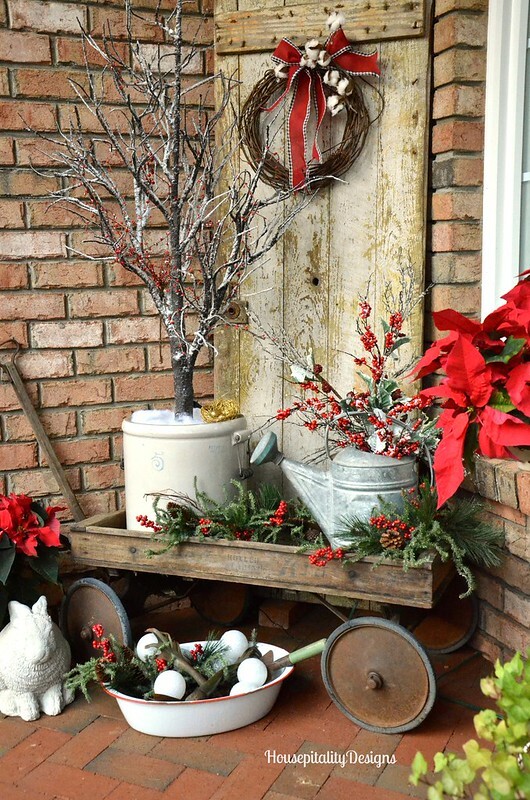 I live in California and we just dont have front porches so my front entrance will look great because i have watering can , necessary rosemary bushes , old milk cans that I dragged across the move from Midwest, so happy i did that thanks Pinterest !!! 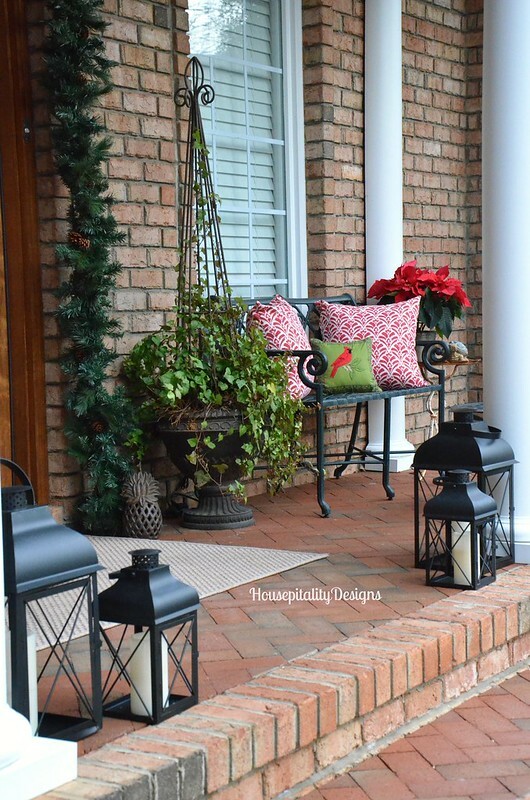 Front Porch will look great this Holiday have small bench with lanterns and milk cans and watering cans I dragged across the map when i moved from the Midwest so happy i saved them Thanks!!!!! 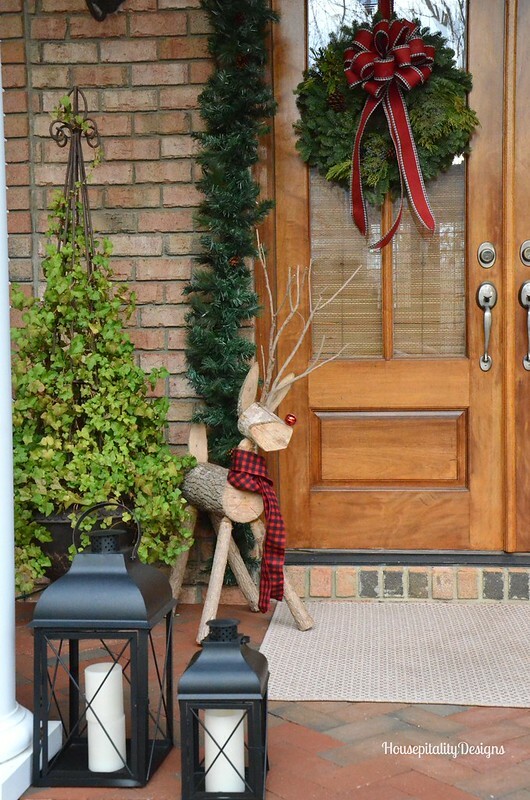 have little reindeer’s too love the look thanks Pin !!!! Ohh..Wow..Amazing Post. It has an attractive user interface and appear really professional, offers Buy Best Traveling Headphones Complete User Guide. Here the top rated best sandless beach bags complete user guide in 2018 which are of deluxe design, comes with attractive color combinations and advanced features.